Setting up your tracks has never been easier, with our DDJX preparation skin. With an extra large waveform you can zoom in on those all important points of interest. Setup ten cue points and loops with just one click. This single deck skin allows you to focus on one track at a time. The first in a line comming under the DDJX label, with plans for performance skins in development, in two, four, and six deck views. Styled on the Pioneer XDJ-R1 controller, this is a fully functional skin that can be used with or without the controller, is both windows and mac compatable, with two decks for audio and video mixing. Available for VirtualDJ versions 8 & 7. This skin has been designed not to look exactly like the controller, but more to stand along side it, to be a useful tool, and to give you a visual representation of what your controller is doing. Exclusive to Virtualdjskins, this skin is not available anywhere else. Built for use with any of the Pioneer products, this skin comes with four fixed deck view. However this skin will work along side any controller you wish to use with it. This skin was designed to be more of a visual representation of what your controller is doing, and it is recommended that you use it with a controller only. 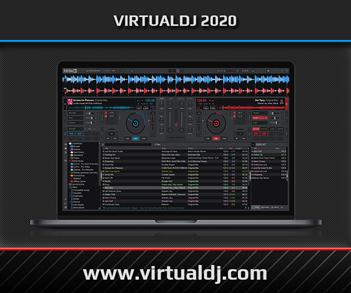 Using the DDJ-S1 as a base, we have tweaked this for use with VirtualDJ. Containing all the functions you would expect, plus some uknown functions of VDJ. This skin can be used with or without a controller, and comes in four different resolutions, and a multitude of different views.